Cofelia’s Skirt | Barbie Who? I am making solid progress with Cofelia’s outfit. I have run into trouble with the jacket, though, so I wanted to do something easier to raise my spirit as I continue on. I looked through some patterns and decided that the skirt would be the perfect project. I was right! Even with black yarn, it was relatively quick and was much easier on my eyes than the attempted jacket had been. 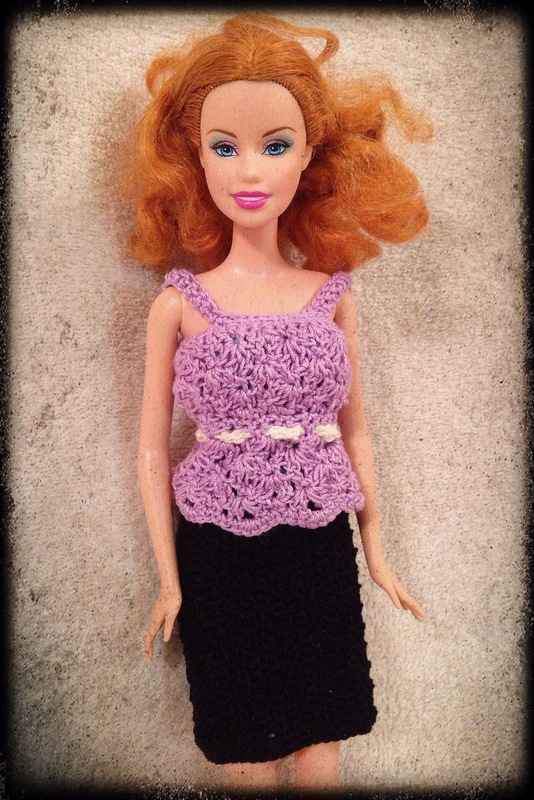 I used this pattern by Crochet for Barbie for the skirt, only with a few adaptations. For the first change, I axed the pinstripes. This was rather easy; I just omitted the rows with the contrast color. I’m doing the skirt entirely in black, so they weren’t needed. The second adaptation was omitting the ruffle. 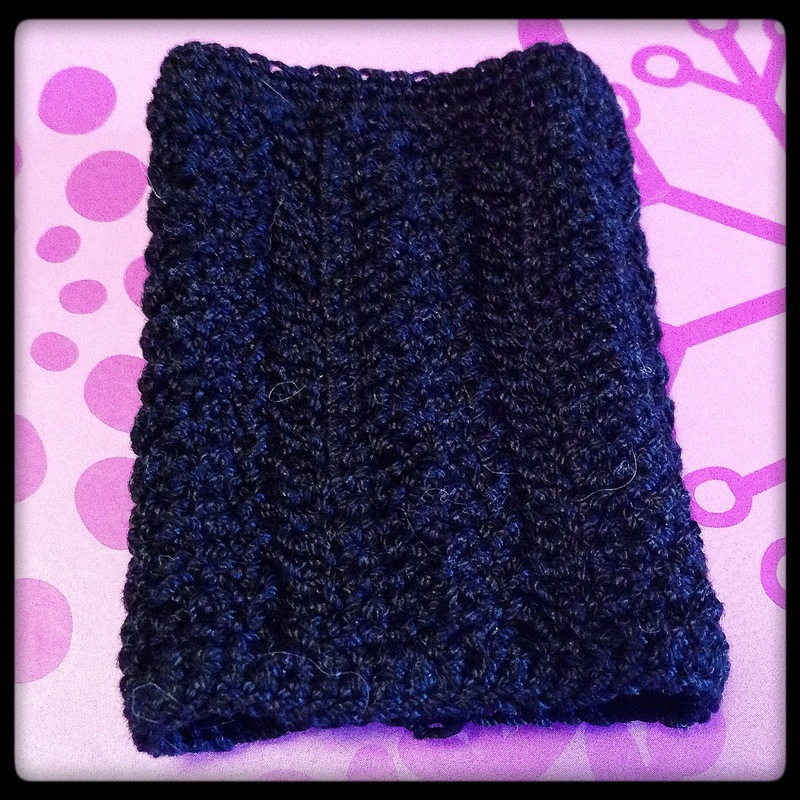 I finished the bottom with two rows of single crochets instead. Third, I finished it with a clasp instead of a snap. I did this more out of thriftiness than anything; I have more clasps than snaps, and I want to save the snaps for the shirt and jacket. Luckily I had some cool old clasps that I bought at a thrift store. They are charming, and there is a good chance they are older than me. 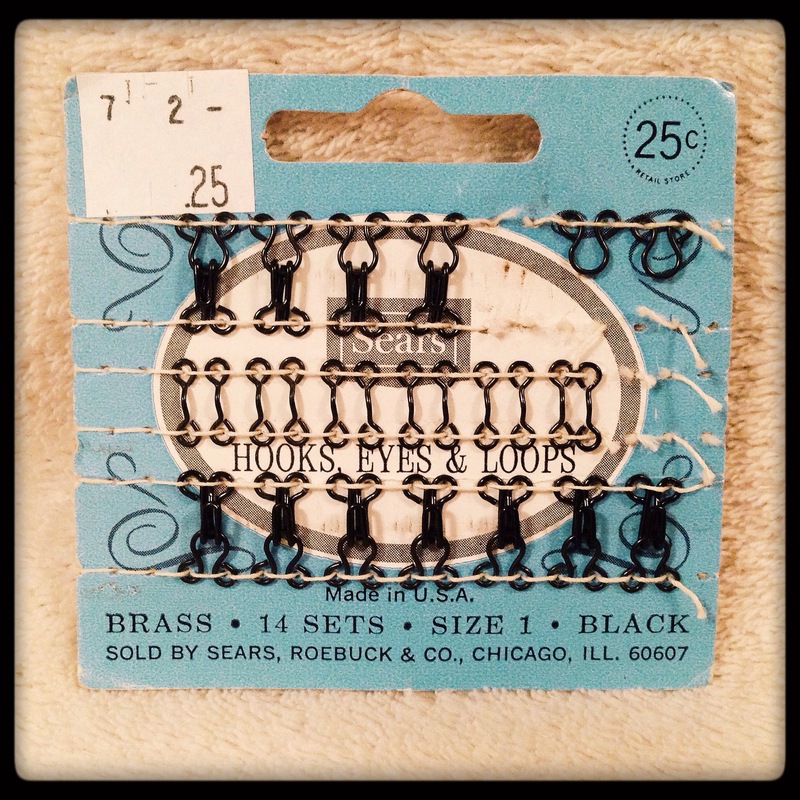 These clasps are pretty much everything I love about thrift stores. I chose that pattern over others I found because it had a bit of texture to it. I could have done a boring skirt, but I wanted something a bit more exciting. This had just the level of exciting without deviating too far from the aesthetic seen on Doctor Who. It also worked faster than a plain skirt made up of only single crochets, so it worked out well all around. The first piece is complete! Next I shall work on a shirt to match it. From there, I want to crochet a jacket and create some glasses for her. The shoes have been ordered from eBay, and I expect them to arrive any day now. Beyond that, I am contemplating creating a pair of stockings for her. I found an interesting pattern for them on Pinterest, but I’m not sure if my sewing skills are up to the task. Time will tell, and I will keep you updated as I continue. Happy Wednesday everyone! Pingback: Meet Cofelia | Barbie Who?